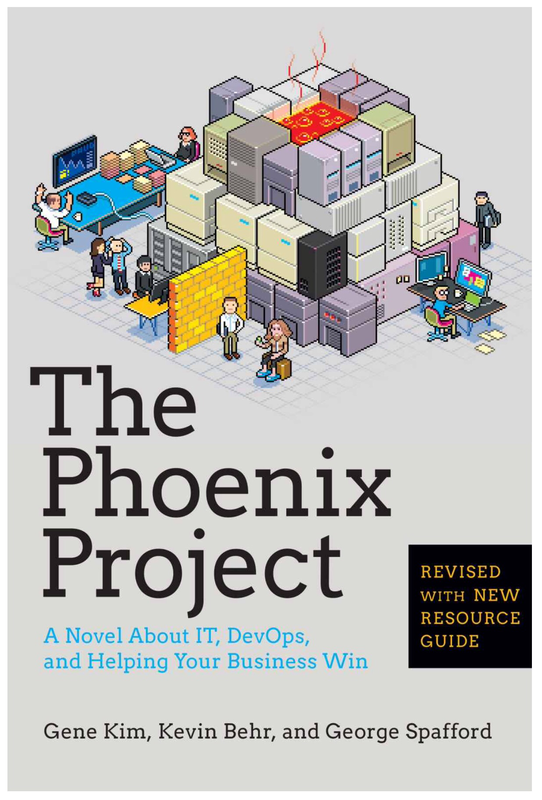 I recently read The Phoenix Project, the definitive and often referenced DevOps Business Novel by Gene Kim, Kevin Behr, and George Spafford. I have to admit I’ve been putting off reading this book, perhaps I had some misgivings about replacing Scrum techniques with the new craze of DevOps. Having decided that I was going to invest my time I was tested once again when I realised that Bill, the book’s main protagonist is an infrastructure guy… I’m a Development Manager, I want to know what DevOps can do for do for me not what I can do for the other guys! That however was the last time I paused before devouring the remaining 370 pages. Bill’s first few days after his promotion are littered with disasters. He has a project to deliver, infrastructure problems to resolve, and political ambushes to endure. In other words, he’s in the situation we’ve all experienced when teams aren’t communicating and colleagues are so stacked up with their own projects and priorities that they simply can’t assist each other. With the timely arrival of Eric, the new potential board member Bill slowly equips himself with the tools he needs to resolve his infrastructure headaches and get the Phoenix Project back on track. Eric, acting as a kind of DevOps Yoda helps Bill gain an understanding of the four different types of work, the Theory of Constraints, Systems Thinking and see the value of Automated Deployments. There’s a nice appendix at the end which helps consolidate the ideas and explains some of the ideas away from the story. There are also some mind blowing statistics about how some of the big web companies such as Amazon, Google, and Netflix. So would I recommend this book to others? Absolutely! In fact I have, repeatedly to friends and colleagues! Whether you’re a developer, infrastructure guru or IT manager this book will introduce you to several new ways of thinking about workload management and IT processes.